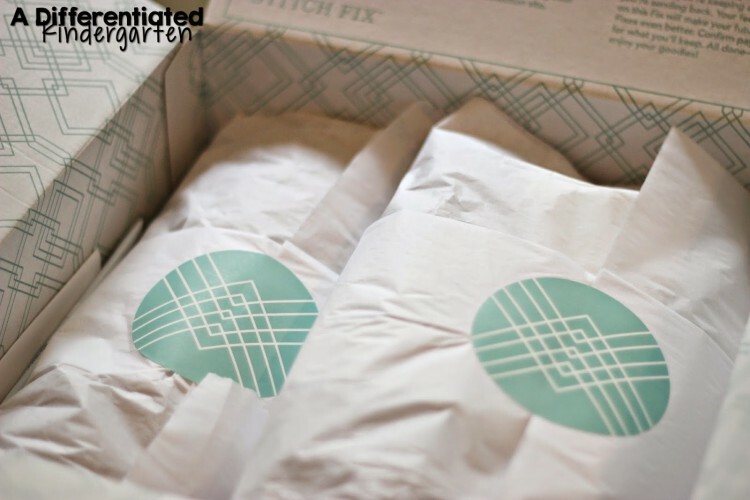 Just in time for Back To School, my Stitch Fix has arrived. 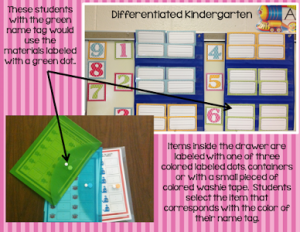 There’s just nothing like working in your classroom all day (and feeling like you’re still not ready . . .) and coming home to find your favorite box with the big blue circle. 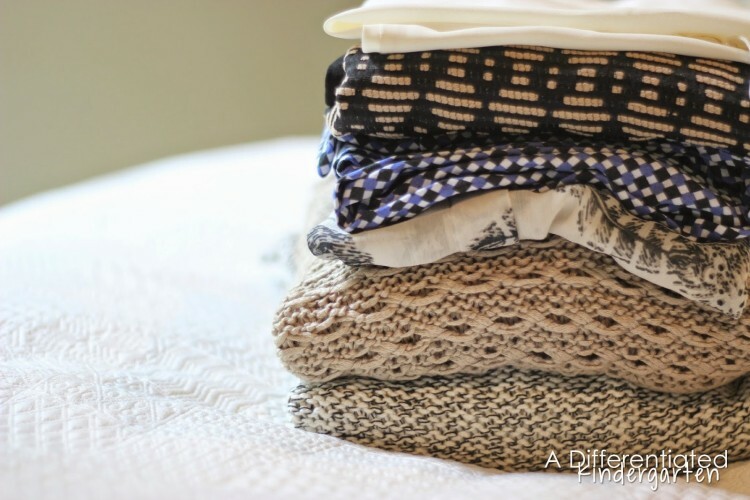 If you’re familiar with Stitch Fix, you know exactly what I mean. 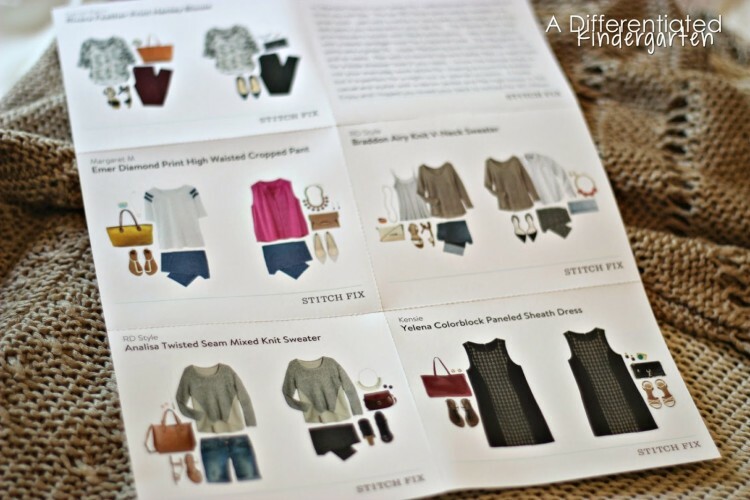 If you aren’t familiar with Stitch Fix, let me give you a quick run down of how it works. 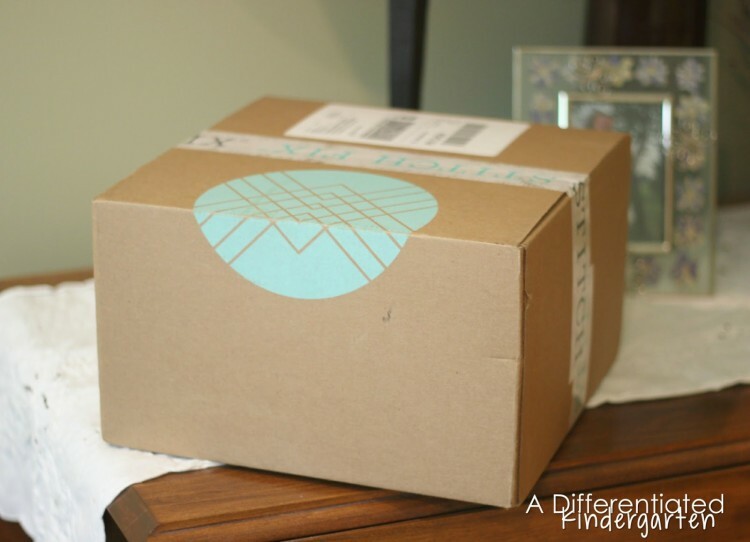 How It Works: Stitch Fix is a personal shopping/stylist service that comes right to your door. All you have to do is fill out a personal style profile and answer a few questions, and then for $20.00 a stylist picks out 5 items of clothing for you to try in the comfort of your own home. Of course, you stylist takes your personal styling preferences, size, Pinterest style picks and any special events you may have coming up into consideration when planning your fix. And if you have a hard time ‘seeing’ how pieces should be worn, they even send you a style guide to show you different ways to wear your ‘fix’ with items that you may already have in your closet. If you decide to keep a few or all of the items after trying them on, all you have to do is head on over to their site and check out. They apply your original $20 to the balance of your ‘fix’ plus you will earn 25% off you bill if you choose to keep your entire fix. If you decide not to keep some of the items, just put them in the prepaid shipping bag that is included in your box, slip into to the nearest mailbox with the flag up and you’re items are on their way. Next, go to your account and check out by indicating which items you are going to keep and which you are returning. It’s always good to give LOTS of details about what you liked and what you didn’t like so that your next fix is even better. 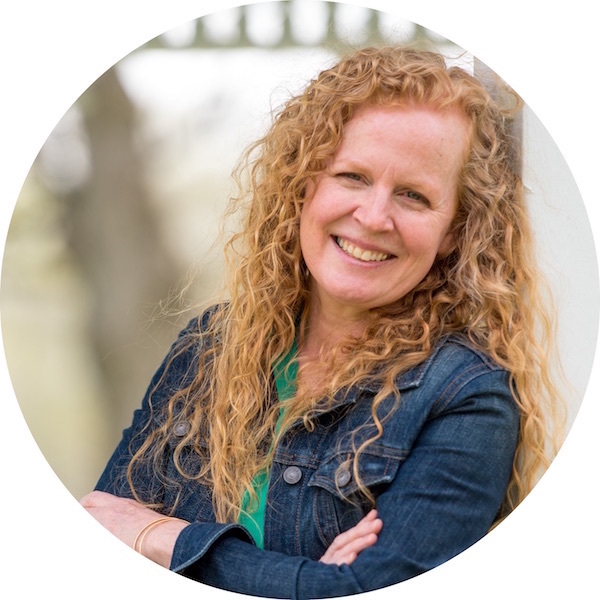 Fix #8: This month I asked my stylist to think ‘layers.’ Yes, it’s going to be hot for the first couple of weeks of school in September, but, generally, it cools down quickly and before you know it, Michigan winter will be upon us. I also asked her to think of Earth Tones for colors. This will be the first fix I am actually NOT getting something in that jewel green color. I was ready to spread my wings a little. 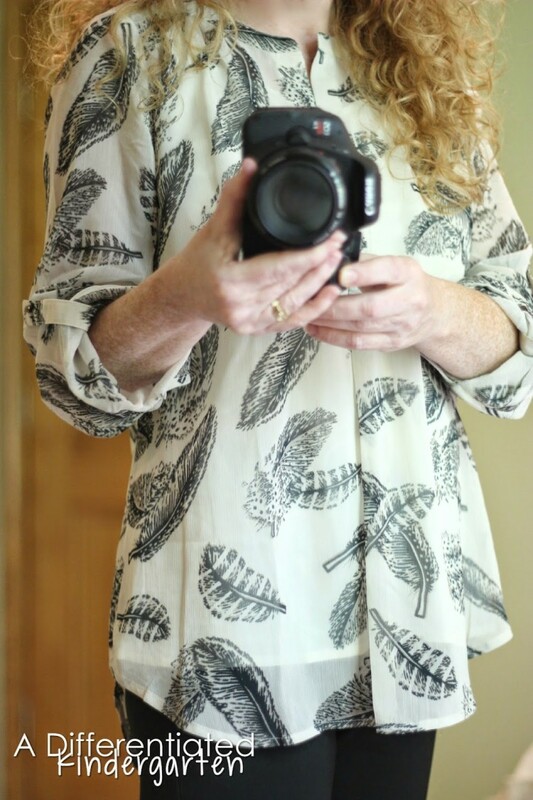 First Up was this Rivera Feather Print Henley Blouse. The material was very comfortable and the fit was very good. But somehow, I kind of felt like one of the Golden Girls in this. 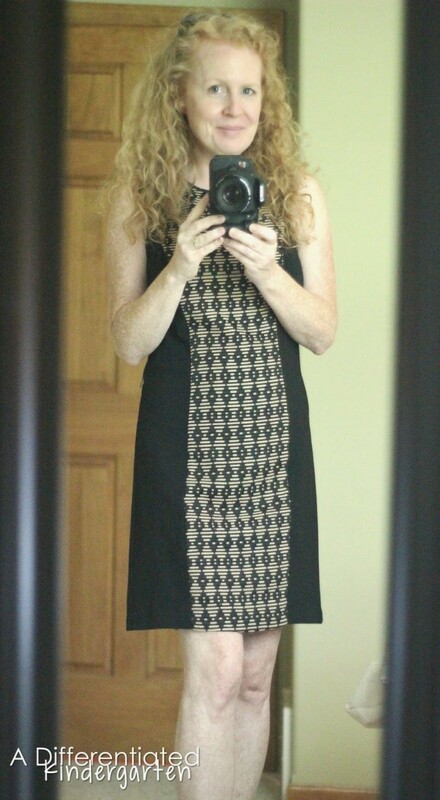 I’m not a big fan of large prints, and, even though it might be true, it made me feel like an old lady. I would have loved this blouse in a solid color, but as it was, it was going back. Next, my stylist included this Braddon Airy Knit V-Neck Sweater. 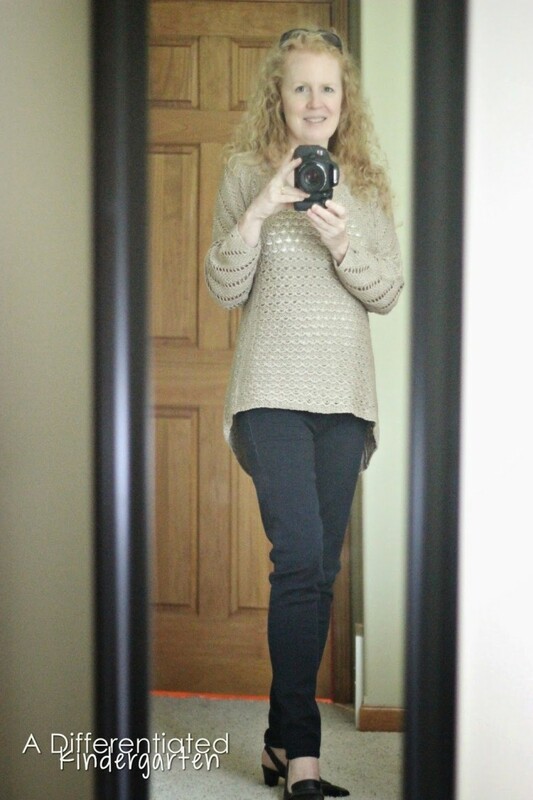 I love the weight and feel of this sweater and the color was very versatile. I could wear it dressed down with a pair of jeans and boots or with a dark pair of slacks and heels. This one was definitely a keeper! 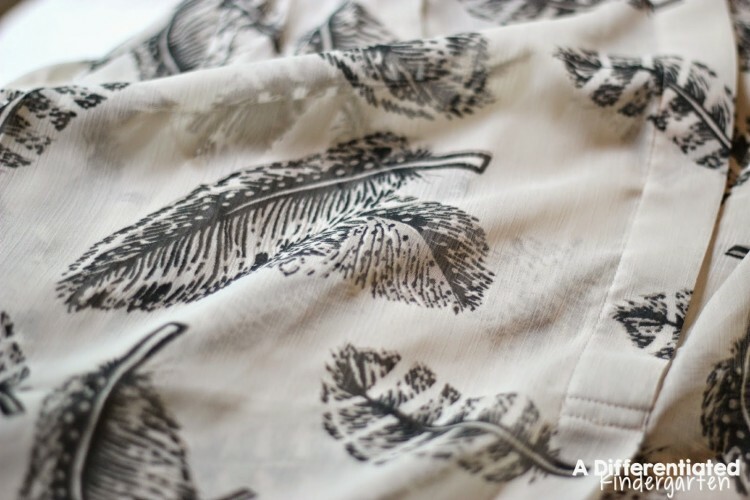 One of my most favorite pieces from Stitch Fix was a pair of Margaret M Cropped Paints. I absolutely adore how they fit and feel. This pair of Eme Diamond Print High Waisted Cropped Pants by Margaret M had the same feel. I loved how they fit, but I just couldn’t get past the print. So these pants will go back . . . dang I LOVE how they feel though. My stylist also included this cutie patootie Yelena Colorblock Paneled /Sheath Dress. I loved the colors which were just perfect for me, but it didn’t feel like it fit just right. It felt a little boxy and the hemline was a bit short for kindergarten. So this is another piece that I’m sending back. 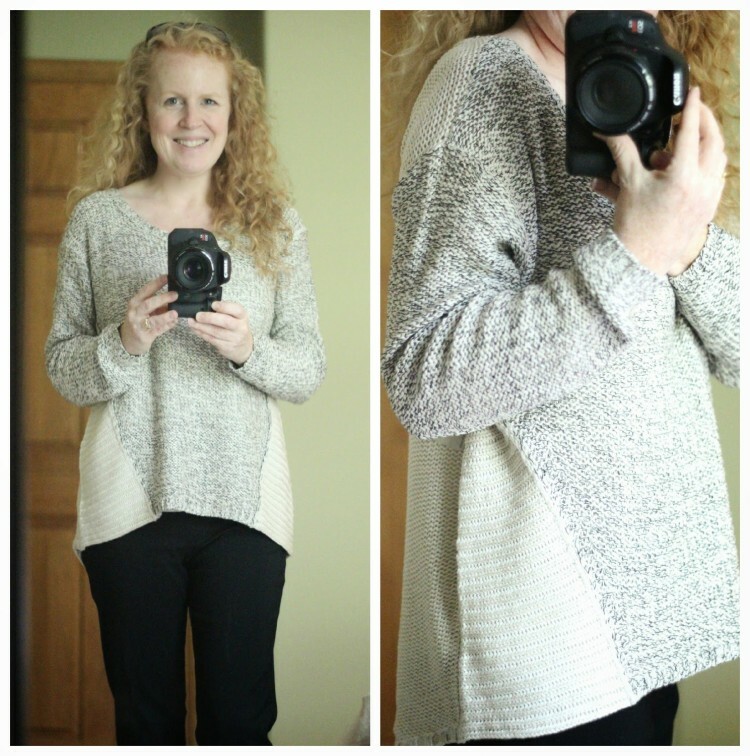 Because you can never have too many sweaters, my stylist also included this Analisa Twisted Seam Mixed Knit Sweater. She suggested I pair it with a dark pair of pants or jeans. I didn’t think the front on picture did the sweater justice so I had to give you a side view to see the two different mixed knits patterns. It was loose and and soft, and I kinda loved how comfortable it was when I put it on, so this one is a keeper as well. So that’s this month’s Fix. All in all a pretty good one. I have two sweaters to start the fall out with and I’m looking forward to finding out what my stylist will include in my next box. 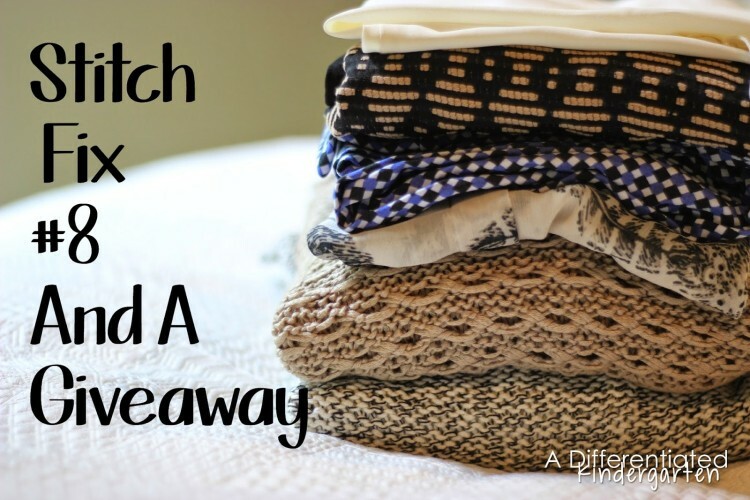 If you’d like to have a chance to have stylist pick out some fabulous pieces JUST for you, why don’t you give Stitch Fix a try. Click HERE to learn more, or click on any of he pictures to take you there. And here’s an easy way to do it. 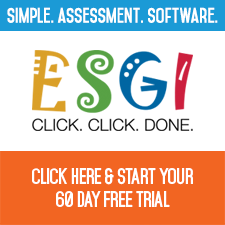 I’m giving away a gift certificate for $20.00 which will cover the cost of your first Fix. It’s easy to enter, and I promise you, it will be a ton of fun. So enter below and take a chance. And when you’re done. 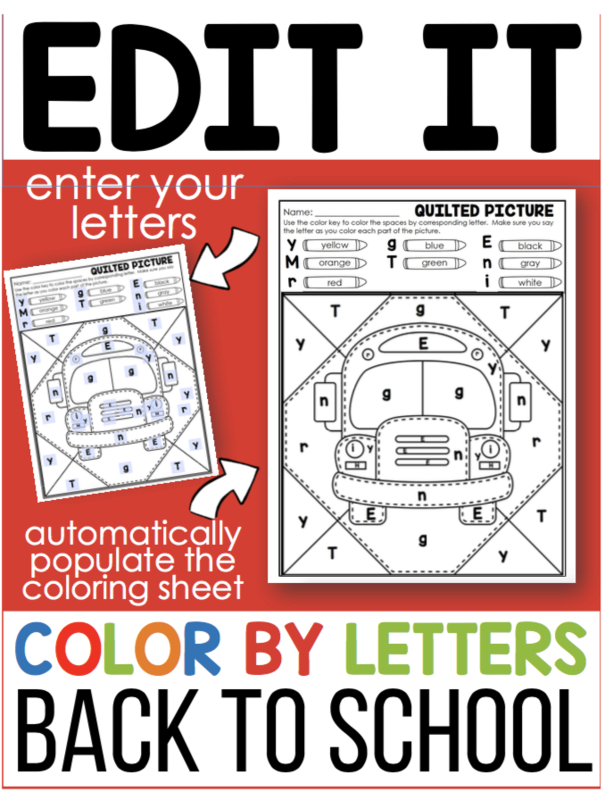 Head over to my blogging bestie Maria from Kinder-Craze to check out her fix this month. She’s having a giveaway too. So don’t miss out. Enter below. 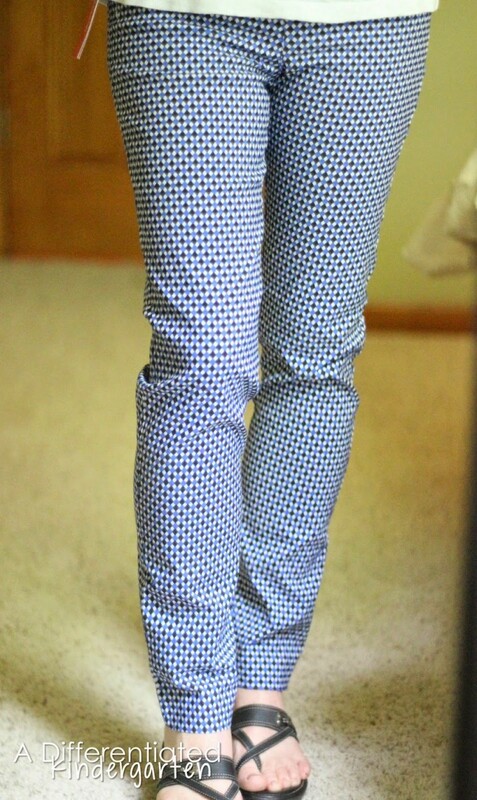 Oh, I LOVED the print on those pants. I wish that you kept them. You’re so slim that they were very flattering on you.  It’s fun to watch your fashion n shows though. I love seeing the Stich Fix boxes that you receive. I am hoping to win the rafflecopter as an incentive to try this. Thanks!